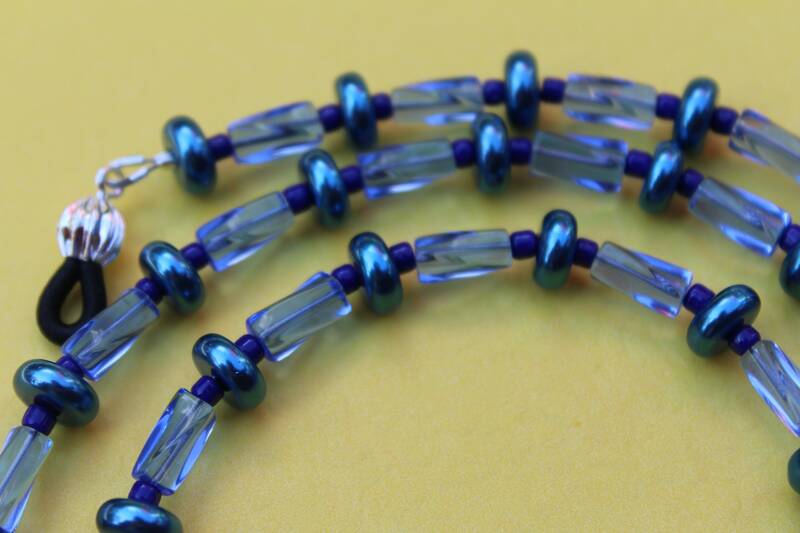 If you wear or love the color blue, or even have blue eyeglass frames, this eyeglass chain was made just for you! 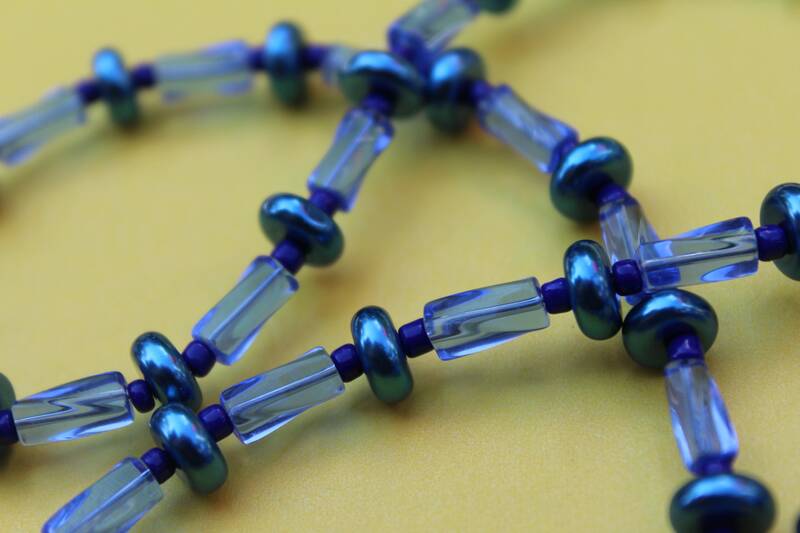 It incorporates a combination of transparent, opaque, and pearl beads to capture multiple shades you love! 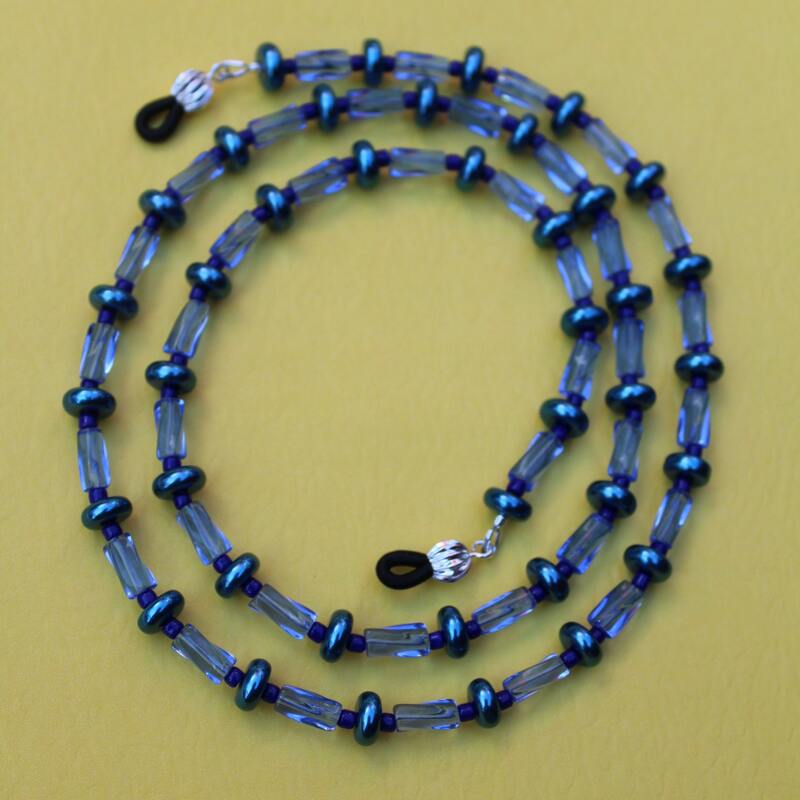 This is an original design by Michele of MichelesAManoDesigns.